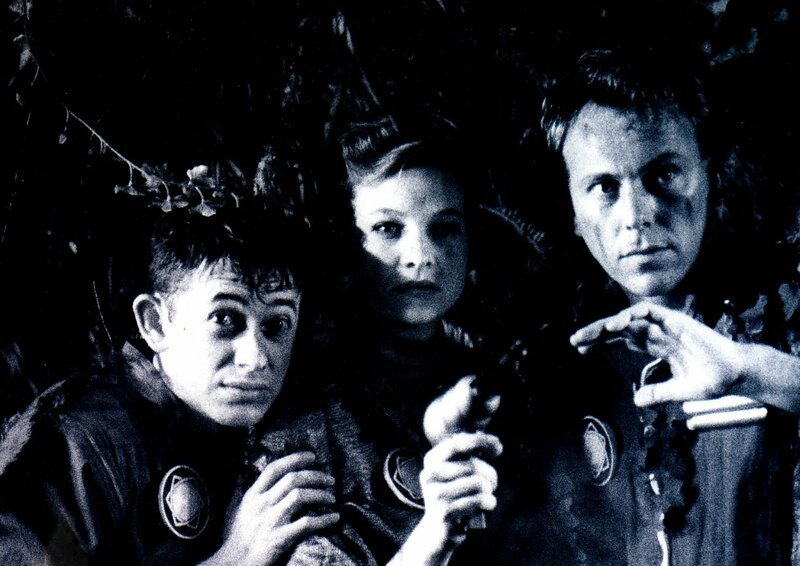 It was funded by the Australian Film Corporation (300 K) and facilitated (25 K facility deal) and first aired on SBS TV. It was later sold and prime timed twice on BBC2 before the 6 oʼclock news and later sold to Fox TV. Rocky Star was an extension of the film work Stephen Fearnley developed at Art school with Steve Harrop (see Down Diablo Way below) where they were part of the Sydney Super 8 Group - an anarchic bunch of art based film makers. They explored archival radio plays as the sound-bed of the entire production, the actors miming the track like a film clip. 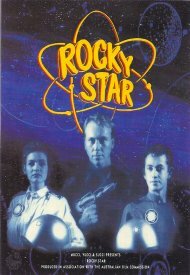 Rocky Star used the 1950ʼs radio play of the same name - a highly popular kids series at the time - where we edited 100 hours of sound into a tight 100 minutes of action packed madness, where every episode the actors broke into song....that's 20 songs = 40 separate copyright contracts ! It's important to note here, that my production work with the copyright clearances with Universal Music, Emi and Alberts Music brought the initial quote of 100 K down to 40 K - a production saving of 60 K.
Rocky Star won the Golden Hugo for Sound and the Silver Hugo for television production at The Chicago International Film Festival - the longest running competitive film festival in North America. That year we were in good company as David Attenboroughʼs ʻ Wolves of the Sea “ won the Golden Hugo for best documentary. In keeping with the handmade grunge aesthetic of Rocky Star and considering the whole thing was filmed on B&W Super 8, it was quite a coup to see the production sell to an international market and win awards ! "Finally, in the spirit of nuts and bolts indy film production, I got to play the character Mitch Morgan - Rocky Starʼs knucklehead off-sider. The upside to all of this was that I got to perform alongside Kerri Fox, who had just starred in Jane Campionʼs ʻ An Angel at my Tableʼ and went on to star in the cult film ʻShallow Graveʼ."